Cooler Master today announced a brand new addition to its line of versatile mobile Apple MacBook Pro stands, the JAS PRO. 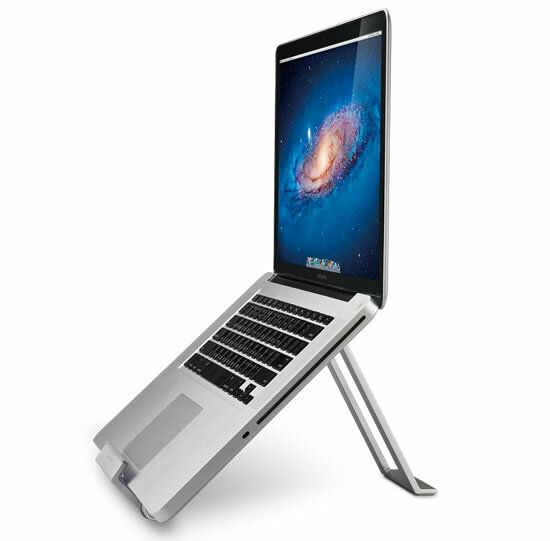 The stunning new JAS PRO stand turns MacBook into an art exhibit that showcases its striking features. It also affords you with an ergonomic view that is enabled by utilizing the various available screen height settings of JAS Pro to help improve your posture while seated. The intelligent JAS PRO design ensures that the bottom of the MacBook is exposed to full air circulation to assist in keeping vital system components cool. The high quality aluminum finish and compact travel design makes the JAS PRO a perfect companion for your MacBook. JAS PRO measures 262 x 140 x 23 / 176 mm and weighs 636g.